« Disney Cruise Marvel Day at Sea in 2017! Disney Cruise Line just revealed ports and itineraries for Early 2018! 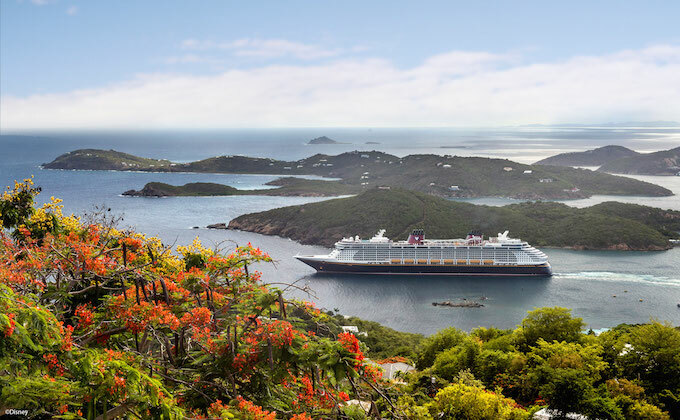 With limited-time engagements in Puerto Rico and California, plus a variety of cruises from Florida, Disney Cruise Line visits exciting ports of call in The Bahamas, Mexican Riviera and Caribbean – including a new stop in Bonaire. Bookings open October 27! The earlier you book, the lower the rates are. Disney Cruise Line rates almost always go up and they rarely offer discounts. Call 855-434-9397 to book now for the lowest 2018 rates. Set sail for exciting cruises to spectacular ports of call in early 2018! Enchanting cruise offerings include sun-soaked destination favorites across a wide assortment of Bahamian and Caribbean itineraries—plus limited-time sailings from San Diego to Baja, Mexico for one month only. Explore natural wonders, treasure hunt for amazing bargains and make waves for a limited-time during a 7-night cruise out of San Juan, with stops that include St. Lucia, Aruba and Antigua, as well as new port of call Kralendijk, Bonaire. Take off on an unforgettable 2- or 5-night cruise from San Diego to Ensenada—available for one month only—and delight in stellar surfing, innovative cuisine and legendary hot springs amid paradise. This entry was posted on October 25, 2016 at 11:03 am and is filed under Disney Cruise, Disney News. You can follow any responses to this entry through the RSS 2.0 feed. You can leave a response or trackback from your own site.